U Památníku 2, Praha 3 – Žižkov, Phone No: +420 973 204 924. Due to the complete reconstruction the Army Museum Žižkov is currently closed for the public. In case of your interest, you can visit the other Military History Institute Prague museums : The Aviation Museum Kbely, Military Technical Museum Lešany or the National Memorial to the Heroes of the Heydrich Terror in Resslova Street. Mladoboleslavská ul., Praha 9 – Kbely, Phone No: +420 973 207 500. The museum is open in the summer season, i.e. from May till October, every day except Monday from 10.00 AM to 6 PM. Admission is free of charge. To get to the museum take bus No. 185, 259, 280, 302, 375, 376 – 10 minutes from Letňany underground station (stop Letecké museum). Lešany near Týnec nad Sázavou, Post Office Krhanice, 257 42, Phone No: +420 973 296 161. The museum is open during the summer season in the following hours: in June and September 9.30 AM to 5.30 PM (weekends only), in July and August 9.30 AM to 5.30 PM (daily except mondays). Admission is free of charge. How to get to the museum: by car Prague – highway D1 direct to Brno – exit Velké popovice – Babice – Lešany u Týnce nad Sázavou. By train: from station Praha Hlavní nádraží, direction Týnec nad Sázavou, to the Krhanice station. Then walk 500 meters over the bridge to the museum. The Military History Institute Prague is a military institution, governed by the Ministry of Defence of the Czech Republic. The Military History Institute consists of the headquarters and three specialized departments (the museum and administration department with the restoration section, the history and documentation department that manages also the military history library, and the operational/economic department. The research activities focus particularly on the issues of the 1st, 2nd and 3rd resistance, and the personal issues of top military personalities. The Czech and Czechoslovak militarism, especially in the 20th century, is subject to the thorough and long-term research. The Institute is the research center, museum, library and archive facility of the Armed Forces of the Czech Republic. Its mission, as defined by law, is to gather constantly and purposefully the written and material relics related to the history of our militarism and army; to take the expert care of these funds and collection; and to research them scientifically. The results are presented by the exhibition activities, archive and library services, at expert conferences and seminars, in books and magazines, and by other services provided for the army units, institutes and general public. Museums and exhibition areas are integral part of the Military History Institute Prague. They include the Army Museum Žižkov, Air Museum Kbely, Military Technical Museum Lešany and the exhibition areas in the Mihulka Tower at the Prague Castle. International contacts. Abroad, the military history is represented by the Czech Committee for the Military History, the member of the International Committee for the Military History (Commission Internationale d’Histoire Militaire, CIHM). The Military History Institute Prague is a member of the committees at the International Council of Museums (ICOM) and the International Committee for Museums of Arms and Military History (ICOMAM) with UNESCO. 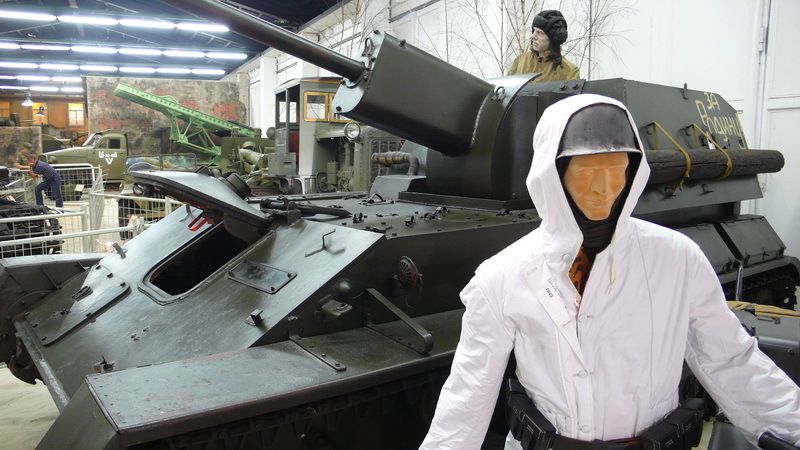 The Army Museum is located in Prague-Žižkov, in the historic facilities of the National Liberation Monument. The exposition is divided into three large sections. The first is dedicated to the period of the World War 1 (1914 to 1918), the involvement of Czech and Slovak people in the war, and the political and military events that resulted in the constitution of the independent Czechoslovak Republic. The second section is dedicated to the Czechoslovak republic and its armed forces between the world wars, and the third section maps the period of the World War 2, and the involvement of the Czech and Slovak people in the military operations, home resistance and other events aimed at restoring the independence of Czechoslovakia. 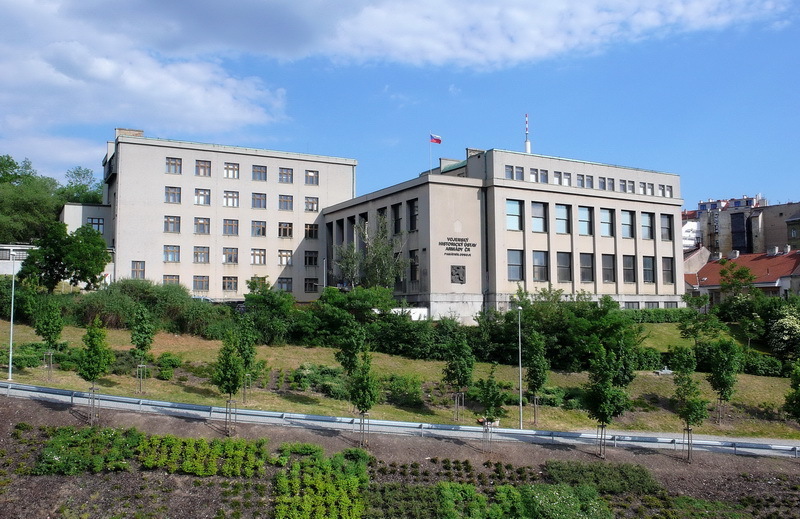 The museum displays the history of the 1st, 2nd, and (since February 2003) also the 3rd anti-communist resistance, the history of the Czechoslovak army between 1918 and 1939, and the persecution of the Czechoslovak soldiers after the coup in February 1948. In addition to weapons, the exhibitions show many unique uniforms, banners, marks of distinction, and also personal memorabilia of the Czechoslovak presidents and leading army representatives. 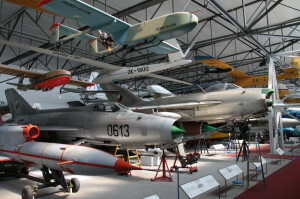 The museum was founded in 1968, in the area of the historic military airfield Prague-Kbely, the first air base built after the constitution of Czechoslovakia in 1918. Due to both the quantity and quality of its collections, it is one of to the largest air museums in Europe. Currently the collections contain 275 aircrafts, 85 of which are exhibited in four indoor halls, 25 are displayed in the open air, 155 are stored in depositories, and 10 planes, fully operational, are still in service. Many aircraft are unique in the world. (Museum display only one in the world czech plane constructions and both type of the Me 262 Schwalbe). The museum is open in the summer season, i.e. from May till October, every day except Monday from 10.00 AM to 6 PM. Admission is free of charge. To get to the museum take bus No. 185, 259, 280, 302, 375, 376 – 10 minutes from Letňany underground station (stop Letecké museum). The Military Technical Museum of the Military History Institute Prague has been located since 1996 in the former artillery barracks between Krhanice and Lešany, near Týnec nad Sázavou. Currently, the exposition contains over 350 historic tanks, cannons, motorcycles, armored vehicles, trucks and military passenger vehicles, manufactured in the period from 1890 up to present. The collections are presented in 10 halls, 6 roofed areas and also in the open air. By the quantity and contents of its collection, with many items unique in the world, the museum is one of the most important European institutions of its kind. The unique part is particularly the collection of the Czechoslovak military transport vehicles from 1918 to 1939, and the collection of Škoda cannons. By the concept of the exposition, the museum follows new trends of presentation of technical collections. From the very start, the museum has followed the pattern of British museums that set the trends in the current development of the museology. Regular replacements of the exhibits every year, their impressive presentation in motion, and the gradual improvement of the exhibition areas – all that helps the visitors better understand the issues of the Czechoslovak military technical history. Every year, when the museum opens as well as during the summer season (every last saturday in August – Tank day), our LEŠANY ARENA hosts numerous events presenting the historic technology in motion. The museum is open during the summer season in the following hours: In June 9.30 AM to 5.30 PM (weekends only), in July and August 9.30 AM to 5.30 PM (daily except mondays). Admission is free of charge. How to get to the museum: Car: 1) Prague – highway D1 direct to Brno – exit Velké popovice – Babice – Lešany u Týnce nad Sázavou 2) Prague– direction Jesenice – Jílové u Prahy – Kamenný Přívoz – Prosečnice – Krhanice – Lešany. Train: Take the ride from the railway station Praha Hlavní nádraží, or Praha Vršovice, or Praha Bráník, direction Týnec nad Sázavou, to the Krhanice station, and then walk 500 meters over the bridge to the museum (the popular Sázava Pacific Line goes through the picturesque valley of the Sázava River).